Let me say, I had my doubts. I have not watched the original series, created by Irwin Allen, besides an episode here or there. I have my reasons. Ok, Ok, it was 60’s camp and lacked the requisite number of Vulcans. Just not my cup of Earl Gray, I guess. I’m happy to say that nothing in the past matters. 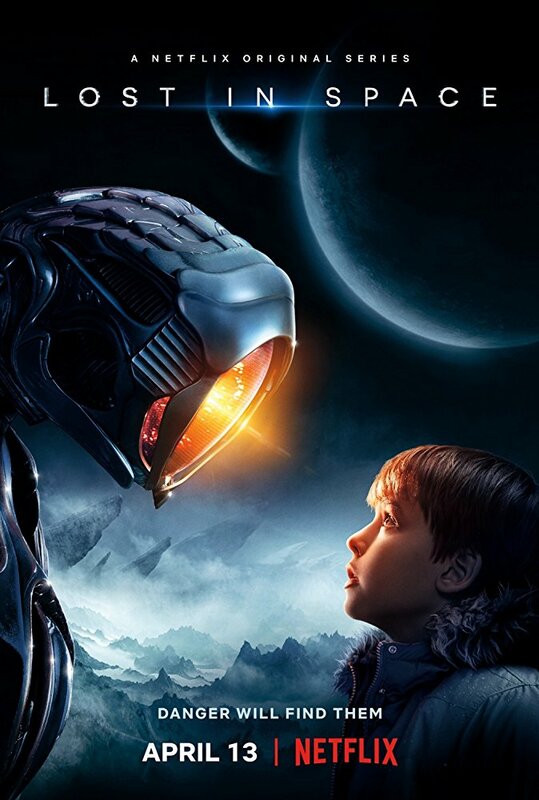 This iteration stands on its own as the definitive update to Lost In Space. If there were any throwbacks from the older versions, I didn’t recognize them. (I fully accept the arrogance in my assumptions that most people didn’t recognize them either). In the not too distant, dystopian future, Earth has been divided into the skilled and leaving vs. the average and stuck. The Robinsons are set to travel to Alpha Centauri for a new life, ripe with opportunity. (This show gets a “trope pass” as the original series helped define the trope in the first place.) Disaster strikes mid-journey and the Robinsons find themselves (along with the entire expedition) in a rush to adapt. Nothing is certain and resourcefulness becomes a commodity. 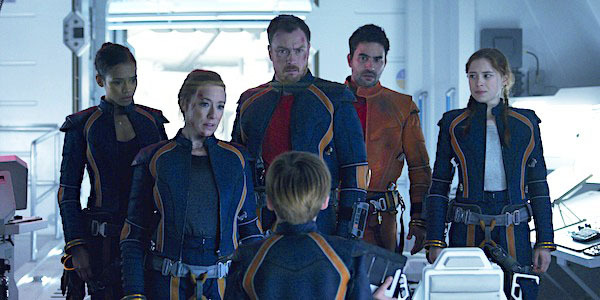 Even with the dire consequences, the pace is fast and light compared to other popular science fiction adaptations like The Expanse or Star Trek: Discovery. There could have been more character development for some of the children and secondary cast members but I suppose I can live with that. Perhaps, this is the reason that the show doesn’t seem to get bogged down with the “filler” episodes that series like The Walking Dead and Game of Thrones are constantly struggling with. The cast is mostly unknown with a few exceptions like Parker Posey (Superman Returns, Scream 3) and a fun cameo with Selma Blair (Cruel Intentions, Hellboy). It has its share of “that guy” (or gal) cast members too, like Tobey Stephens (Die Another Day, 13 hours) and Molly Parker (The Wicker Man, Deadwood). Though relatively unknown, they breathe life into the heads of the Robinson family. Their portrayal of balancing the expectations of family and career is realistic enough, though at times, almost feels unnecessary and most comes close to dragging down the plot. The younglings Robinson- Judy, Penny, and Will (played by Taylor Russel, Mina Sundwall, and Max Jenkins) struggle to find themselves in their new roles as survivors and explorers. Netflix might just have the child actor equation figured out as these kids can certainly handle all the sarcasm and heart required to connect with today’s pop culture consumers. Each character is strong and likeable and does a pretty good job of avoiding the kid tropes that most writers seemed to be compelled to leave kids barriered in. Taylor Russel is the only cast member that gives pause as she looks only slightly older than her child cast mates. The perceived lack of age gap makes it harder to see her as the elder. This appears to be a key component to Judy and is a bit distracting. In time, this may become less of an issue. Rounding out the main cast is the aforementioned Parker Posey, sending up a truly devious Dr. Smith whose actions, first to last, leave you wondering how far she might go to meet her goals. I’ll admit, I was confused by her approach to the character at first and there is something needing to be said about the implication of mental illness and villainy, but by episode 4, I couldn’t see Dr. Smith as any one else. All in all, I think she steals the show. I think for a show that I had almost no desire for, I was surprised by how much I was rooting for the Robinson family to make it to their new home. I predict that this will be a hit and fully expect to see a season 2. Beware the limited swearing if watching with children. I eagerly await what Legendary Television has in store for the future. I give this 4 out of 5 Enchiladas!